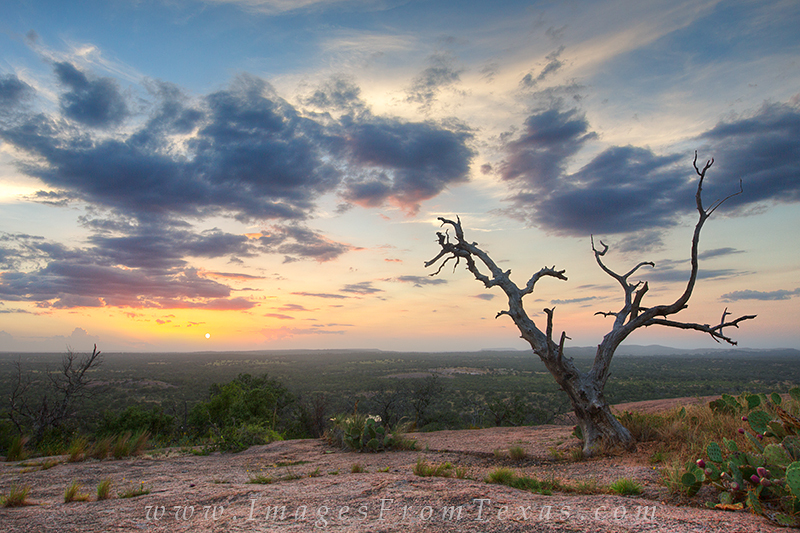 This old gnarled tree is one of my favorite spots atop Enchanted Rock in the Hill Country. I provides a good foreground for capturing the rugged Texas landscape. On this September evening, the sun was disappearing in the distance and the day was fading. Not a bad way to end another early fall evening. Photo © copyright by Rob Greebon.